As a homeschooling mom, teaching foreign languages often leads to me making comparisons with my own language lessons taken when I was younger. All three of my children joined me for these Greek lessons which were nothing like the classes I remember taking. I started this thinking that I did not know Greek, but the introduction of Greek Morphemes Lessons (It's NOT Greek to Me!) from Ready to Teach made me think even I could teach it. Then as I read through the teacher's guide I realized just how much Greek I did in fact already know. These Greek Morphemes Lessons are actually vocabulary lessons more than foreign language lessons. 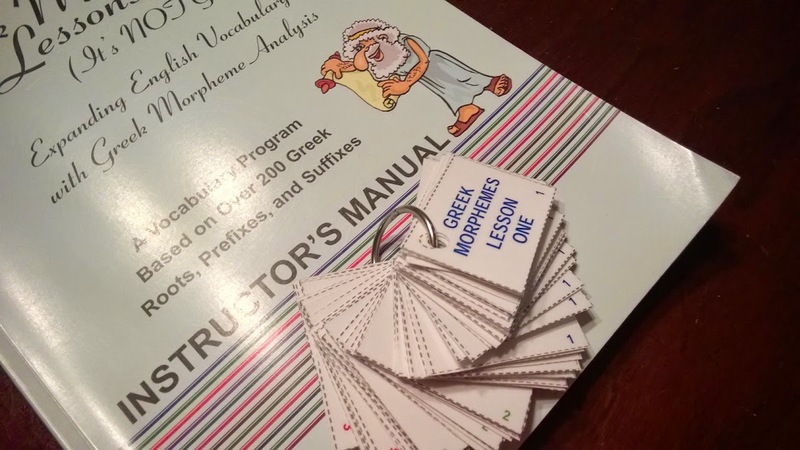 Subtitled Expanding English Vocabulary with Greek Morpheme Analysis, the program teaches prefixes, suffixes, and roots that are often recognizable in our English language. We received the instructor’s guide with CD, new thumb drive which will soon be replacing the CD, and a student book. Tests, study guide, transparency masters, and even a set of flashcards color coded to correspond with each lesson are included. In the 104 page instructor’s manual, Dr. Alene Harris shares how the program developed in her classroom. Clear objectives are provided in the introduction to each unit, and my children did meet the objectives as they worked through the lessons with me. 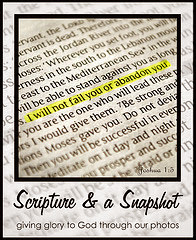 The slides which we accessed through the flash drive made the lessons easy to share. Each word was presented on a slide which included the definition and even cartoon graphics that depicted the meanings. This was my favorite part of the lessons as the design helped the lessons flow even when I was learning along with the kids. The student book included both fill-in-the blank and multiple choice type questions for each unit. First the kids wrote possible definitions for the words based on what they already knew. Later they were instructed to look up definitions to aid learning. An unabridged dictionary is required for some of the assignments. Definitions were then shared from the power point style presentation on the included flash drive. Instructions were included for students to each make their own sets of flashcards, however my children shared the set from the instructor's guide. We laminated them and put them on jump rings for convenience, but removed them from the rings for the activities. All three of my children shared the student book as they worked together, and my oldest daughter was scribe for the lessons. (Student books can be purchased separately, and one is recommended for each student.) They each added the new vocabulary words to their own notebooks, and they completed the activities together. My son enjoyed making words from the Greek roots, prefixes, and suffixes. My oldest daughter enjoyed doing the vocabulary lessons with everyone. She shared that the practice part was not very difficult yet she did learn a lot. Ready To Teach also offers a Latin Morphemes course.